It’s time to take your apps in a whole new direction with iOS 6. Download the SDK today and start exploring Maps, Facebook integration, Passbook, Reminders, new features with In-App Purchase and Game Center, new camera APIs, and so much more. iphone/iPad development So, let’s see the first impressions that we’ve got from our department. Exploring maps and locations have paramount importance as far as smartphone usage is concerned. 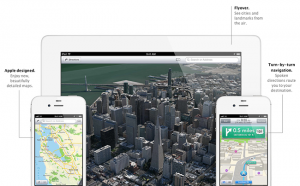 Google and Microsoft already have their own Maps and Apple had to integrate former’s maps into its devices. But, with new iOS 6, Apple has finally eschewed Google Maps and joined the race with its own Maps. Apple has rendered some of the places mainly Cupertino and the Apple Campus and it would be unfair to call them average. In fact, their 3d presentation is rather awesome and exceeds substantially from other maps, whereas New York terrain doesn’t look anything next to former locations. Street mapping and Turn-By-Turn and Transit location are such features that could not be reviewed extensively as it requires some extra mileage to fend proper data for further exploration. Anyhow, first impressions about Apple’s Maps are quite encouraging and positive, as expected. More than half of the Facebook users are currently using Facebook over their smartphones, and thus Facebook’s hood offers quite enticing product launching station to big tech giants. New iOS 6 facilitates deep Facebook integration which is quite similar to that of Twitter’s current integration in iOS 5. Photos and websites can directly be shared on Facebook account and likewise visibility of the posts can also be controlled quite easily. Besides, location can also be featured with the post being shared. Youtube’s videos can be shared directly as well but from other sources, it’s not possible to post directly. 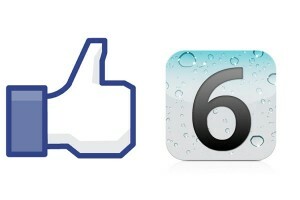 The most applauding feature of Facebook integration is related to App Store. Not only users can ‘like’ apps directly from App Store but they can also see which apps their friends have liked. Deafening silence of current consumer behaviors is suggesting that as smartphones are rapidly reaching saturation point, tablets would soon be the next generation handheld devices. Keeping that in mind, Apple has finally wired Siri into its iPad. 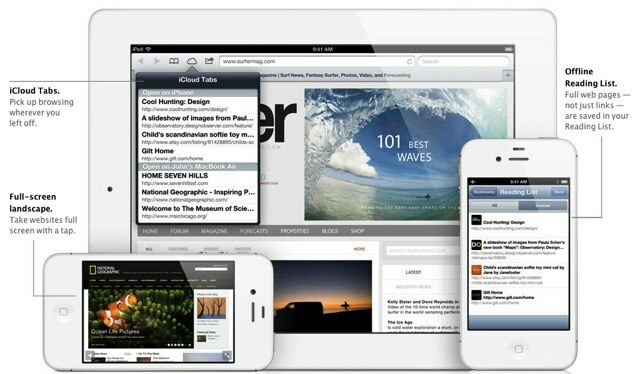 With Siri baked into iPads, users can now easily share their posts on Facebook, Twitter etc. It’s intuitively inspiring that users would now be able to open and launch apps using voice commands. It’s rather become a tradition to bring new browser right away with new OS. Following the suit, Apple’s default browser Safari has also gone through acid tests. After testing on iPhone 4S, it’s found that there are handsome improvements in browsing speed and likewise new web technologies such as HTML 5 and CSS3 have gained better compatibility. WebKit has bore no change and it still reports web servers that it’s being run on iOS 5. Similarly, maximum tab open limit too banks on 8, as in earlier version. Apple’s new iOS 6 has brought some fresh air in the OS industry and undoubtedly it can be advocated for its better stability and user interface. Some of the left-wingers have unfairly argued that it isn’t quite compatible with Android and Windows phones. Mobile application development would now take some other adventurous turns as iphone/ipad developers are feeling that they have now got better chances to make apps for users.What’re the most exciting and attractive features that you’re looking for?